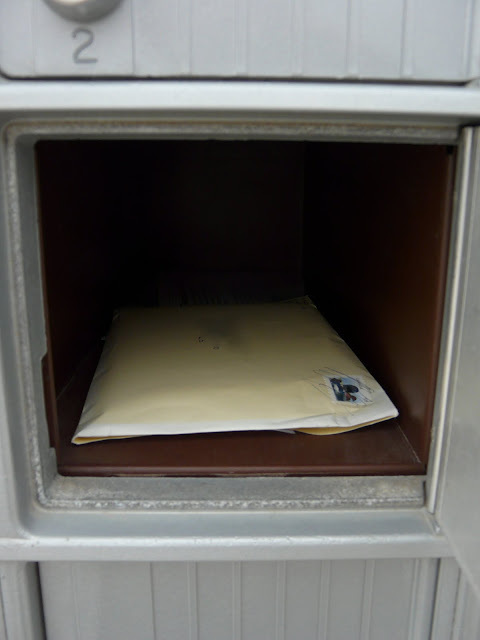 Long live the hand-written, postage stamped letter. Really and truly. There is nothing quite like sitting down and sharing your whozits and whatzits through a hand scrawled note, except maybe to receive one. My Grandma and Grandpa have kept in frequent contact by letter throughout my life, and I have kept every one. 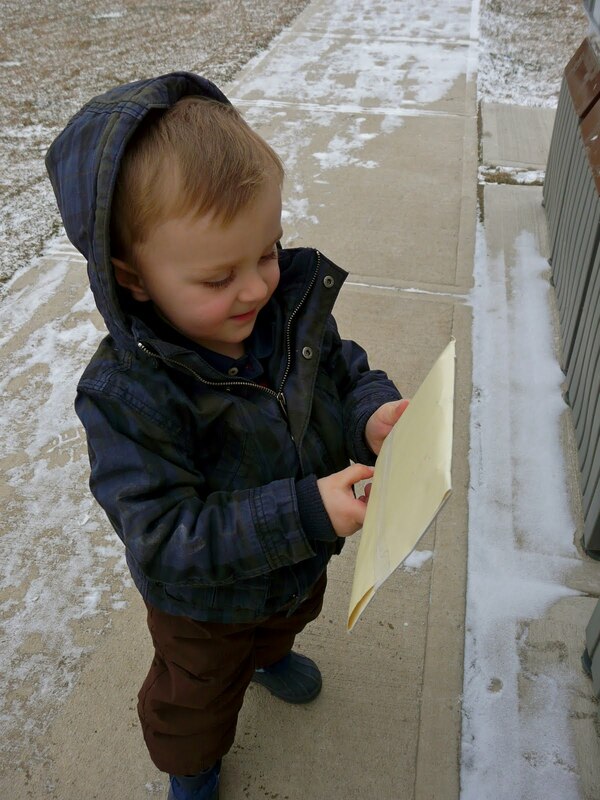 Today, Levi found something special in the mailbox from his Grandma and Grandpa. It reminded me of how excited I always was to find something in the mail addressed to me. The perfect letter for a little one. She replaced familiar faces and activities with easily identifiable photos, so that Levi would be able to understand and "read" his letter. I use to write back and forth with my Granny. She has been gone for many years, but I still have every letter and treasure them.